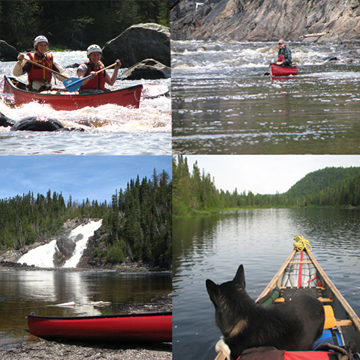 Flowing rivers allow canoe lovers to travel through our great forests and wilderness. There is a multitude of picturesque sites to be appreciated, many of them unseen by the majority because of their inaccessibility by foot or vehicle. There are three main canoe routes – the Kagiano River Route, the Black River Route and the Foch River Route. If information is required for any canoeing in our area or for guided tours, please look under Outfitters in our Business Directory.